Who won the first World Championship, back in 1927? How much prize money did he win (roughly 0.000015% of this year’s top prize)? How many times did Fred Davis win the title? What nationality was Horace Lindrum, who first reached the final in 1936? In which year did Alex Higgins win the first of his two world crowns? At which venue was the tournament staged in 1976, the year before it moved to the Crucible? Which three-time World Champion made a 147 at the 1979 Holsten International only to discover that the TV crew missed it because they were on a meal break? How many different champions have there been in the Crucible era? Name the only South African player to reach the final at the Crucible. How old was Ray Reardon when he won the last of his world titles in 1978? In which year was the first best-of-35 frame Crucible final? Who two players competed in a match in 1983 which finished at 3.51am? Which player did Stephen Hendry lose to on his Crucible debut in 1986? Which player, now a pundit for ITV and Eurosport, made his only semi-final appearance in 1987? In 1993, who became the first Asian player to reach the semi-finals? Who is the only Icelandic player to compete at the Crucible? How many maximum breaks have been made at the Crucible? In which year was the most recent 147 at the Crucible – and who made it? Who missed the pink when just two pots away from a 147 at the 2002 Championship? Who was the last player to win the world title as well as the UK Championship and the Masters in the same season? Which two players almost came to blows at the end of their first round match in 2004, a confrontation which led to the infamous ‘Pot Whack’ boxing match? How many qualifying matches did Shaun Murphy have to win just to make it to the Crucible in 2005, when he went on to win the title? The only Crucible match to come down to a respotted black in the deciding frame occurred in 2006. Who were the two players? Which two players made breaks of 146 (even rarer than 147s) at the Crucible in 2010? How many times has Ronnie O’Sullivan lost in the semi-finals at the Crucible? Who became the youngest player to compete at the Crucible when he qualified for the 2012 Championship at the age of 17 years and two months? What connects Simon Bedford, Ronnie O’Sullivan and the 2012/13 season which ended with O’Sullivan winning his fifth world title? How many centuries did O’Sullivan make in that 2013 final against Barry Hawkins? 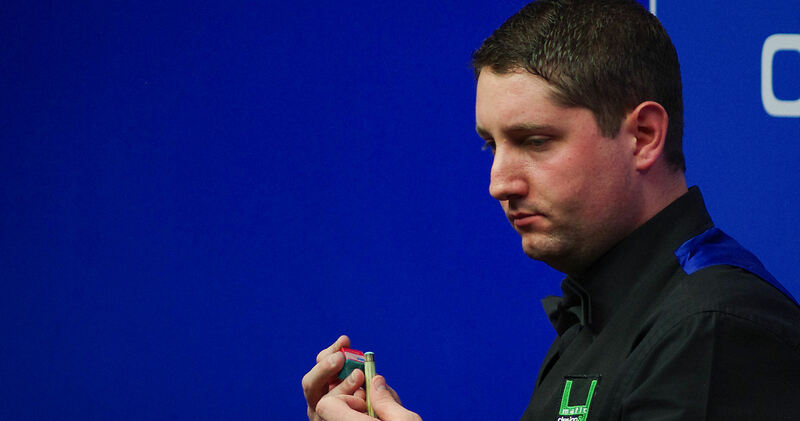 Who beat Ding Junhui 10-9 in 2014, one of the biggest ever first round shocks? When Stuart Bingham became the latest victim of the Crucible Curse in 2016, who did he lose to in the first round? 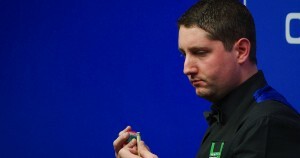 Who were the losing semi-finalists at the Crucible last year? Name the pictured player, in action at last year’s tournament. In the final qualifying round in 2017, which two players contested a frame which lasted a record 123 minutes? What is the record for the most centuries made in total during the Crucible stages of the Championship, set in 2015 and equalled in 2016? In 2017, who became the first player born in the year 2000 to compete at the Crucible? In which year was the Championship first televised every day by the BBC? In which year did Jimmy White last play at the Crucible? Name the only two Crucible champions to have reached the final when defending the title for the first time. Who did Steve Davis play in his last ever World Championship match in 2016? Which Thai player made his Crucible debut last year?